Today’s workplace is dramatically evolving as more companies are giving their employees the option of working remotely. It should not come as a surprise. Up to 90 percent of people working in the US said that they would like to work at home or elsewhere, even part-time. For many, the idea of working right in the comfort of their home is both liberating and fun. You can now spend an hour or two longer in bed. You no longer have to deal with the stressful commute to work during the morning rush. No need to deal with bosses or managers continually looking over your shoulder or cubicle to make sure you’re getting the job done. Best of all, more time for your family. Companies, particularly startups that want to build a growth team on a tight budget, also benefit immensely from remote work. Not only can they significantly minimize their overhead and operating expenses, but also get quality team members with the skills they need anywhere in the world. No doubt, working remotely is a win-win situation for everyone. At least, that’s how things are in the beginning. Achieving a healthy work-life balance is one of the biggest challenges faced by remote workers as the boundaries between work and home begin to blur. Because of this, many remote workers tend to spend long hours working. 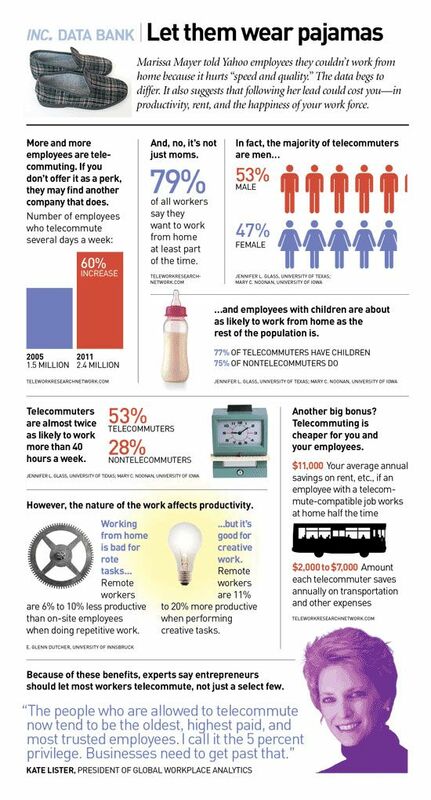 In a survey done by Inc, 53 percent of remote workers clock in over 40 hours every week. Getting cooped up in a home office can also make your remote team feel isolated and trapped. This lack of collaborative communication, combined with differences in time zones and work hours, also have a direct impact on your team members’ ability to get things done. It can also make you feel left out by your colleagues still working in the traditional workplace, as a study done by the Harvard Business Review painfully reveals. Add to this the fact that while working remotely is becoming a trend in the workplace, it may be something that your team’s family, friends, and neighbors fully understand. Disruptions in the form of last-minute errands, unexpected visits, and kids just wanting for a bit of attention can interrupt your while you’re working. If you’re not careful, working remotely can cause you to become more stressed, less productive, and depressed. 1. Set healthy boundaries for work. Since you no longer have the convenience of having a separate work environment from your home environment, you need to be extra vigilant in setting boundaries between the two. Start by deciding on your working hours, and make this clear with your employer from the very start. That way, your employer knows when you’ll be available if they need a quick update or need to have something revised. 2. Practice the art of time blocking. Remember back during your high school or college days when you got a fixed schedule for each of your subjects? Well, that’s the same principle when you do time blocking. The only difference now is that instead of classes, you’re blocking out chunks of time to the different tasks you need to complete within the day. I use Google Calendar whenever I schedule my day. Aside from the fact, it’s free to use, but also seamlessly integrates with all of the apps and other tools I use when working. When creating your time blocks, I strongly recommend color coding them using bright colors. Doing this quickly gives you a signal on what specific task or assignment you need to be working on when you check this. 3. Get dressed for work. The thought of working in your PJs is appealing. Unfortunately, it also affects your overall state of mind and your level of productivity. Besides, you wouldn’t want to jump into a video call with your boss in your jammies with your hair going in a million directions. Keeping the habit of getting up each morning and preparing as though you’re going to work sends signals to your brain that you’re now transitioning to work mode. In the same manner, when you change back to the clothes you wear at home, you’re telling yourself that the work day is done and it’s time now to spend time with your family. 4. Have a designated workspace. Where you work directly influences your overall performance and productivity at work. So make sure that you choose a place in your home that you can designate and set up as your office. Transforming a room in your home is ideal. You can convert and decorate this to resemble a home office, helping you shift your mindset more quickly. Having a door that you can close and lock will also help you avoid unnecessary distractions. If you live in a tiny space and you don’t have the luxury of a turning off a spare room into a home office, choose a part in your home that you can section off to make into your home office. A portable divider or cabinet is both a decorative and functional way to segregate your office from the rest of your home. 5. Be flexible in your schedule. One thing I noticed when working remotely is that the amount of workload varies depending on certain days of the week. That said, take advantage of the not-so-hectic days to allocate time to run errands, walk the dog, or hang out with friends. Having this variety and flexibility in your work schedule will also help revitalize and recharge you so that you get back to your tasks more motivated and more productive. 6. Make sure that you have the right tools. Aside from the tools that you use to streamline your workflow, you need to have the means to effectively communicate with your employer and other members of the team. My growth team and I use Slack as our primary communication tool. Apart from the fact that it’s free, it lets me do calls, send messages, and transfer files with specific members of my team in one platform. You can also create channels you can devote to specific tasks and projects. Zoom is another excellent communications tool to have in your stack. This tool allows you to host virtual meetings with your employer and other members of your team at the same time. It also allows each of you to share your screen so you do your presentation very much in the same way you’d do in a traditional meeting room. The only catch with Zoom’s free version is that it only gives you 40 minutes for your group calls. I see this as an advantage since it forces you to make your meetings short, giving you more time to devote towards productive work. 7. Make separate to-do lists. Combining all the stuff you need to do for work and home in one list can make this look very overwhelming and daunting. Separating these tasks into two separate columns (one for work and another for your personal tasks) shows you a clearer picture of what your day will look like, and avoid overloading yourself. Separating your work and personal tasks also show you if you’re devoting way too much time towards one aspect of your life so you can make the necessary adjustments to strike a healthier work-life balance. For example, if you saw that your to-do list for work is a lot longer than your personal to-do list, you may want to move some of the work tasks to the next day. 8. Change your work environment. Opting to work in your favorite coffee shop or a co-working space can do wonders for your productivity and work-life balance. First, the act of going to a different location mimics the commute you used to do. Second, it provides you with some social interaction to prevent you from feeling lonely and isolated. More important, working outside your home office now and then opens you to the possibility of establishing connections that can lead to future work opportunities. Just because you’re working remotely means that you have to do all the tasks on your own. Take advantage of the freedom you now possess by collaborating with freelancers to help you complete all the tasks at hand. By getting someone to help you out means that you free up your schedule, allowing you to spend this towards your family or working on that project you’ve been putting on the side for a long time. If you want to achieve a healthy work-life balance while you’re working remotely, you need to disciplined enough to tell your friends, family, and even your employer “no” now and then. 11. Take care of yourself. 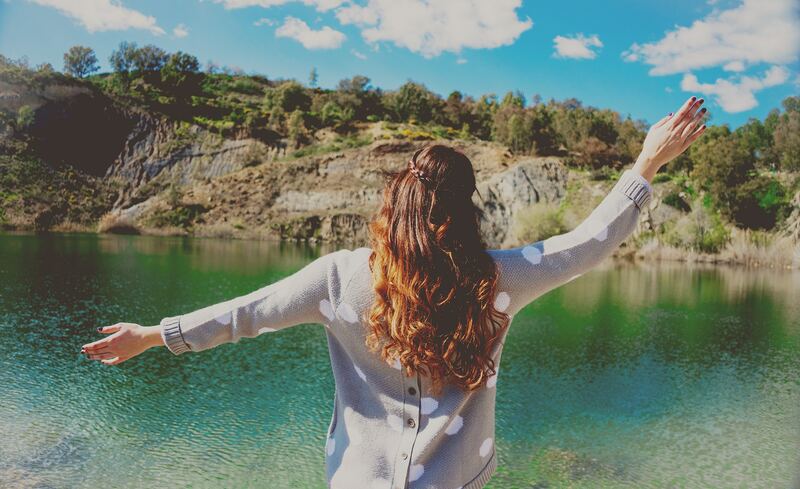 Now that you have the freedom to choose when and where you work, there’s no reason why you shouldn’t take care of your health. One of the biggest challenges remote workers have is getting enough sleep, especially if you tend to be a workaholic like me. Arianna Huffington is a strong advocate of getting between seven and nine hours of sleep not only of its health benefits but its direct impact on your productivity level and work quality. Another is making sure that you eat right and at the right time. Stock up on healthy snacks and prep your meals the night before. A healthy body, after all, leads to having a healthy mind and lifestyle. Give yourself time to transition from your work mode mindset by not planning anything within 30 minutes from the time you’re finished working. This allows your mind to decompress and recharge before you begin tackling home-related tasks and activities. Achieving a healthy work-life balance won’t just happen on its own. You need to make a conscious effort for this to become a reality. The steps I shared here are what I found the most helpful for me to achieve a healthy work-life balance. Try each of these steps out to see which ones work for you, and feel free to tweak it based on your lifestyle. Kevin Payne is the Founder of Kevintpayne.com, a growth marketing agency that helps SaaS companies implement growth marketing campaign sprints to 2X their inbound leads in 90 days. Also, he considers himself a lifelong learner that strives to advocate for diversity in tech.